The current weather pattern is appreciated as this winter has seen a lack of precipitation. 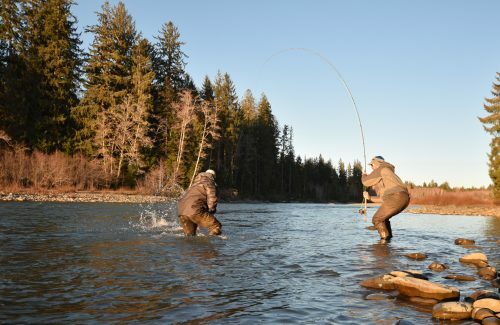 The swing fishing has been consistent on certain watersheds as an overall rule. However recently for my boat my lucky steak was interrupted with a couple blanks. Regardless, just makes you appreciate every one. 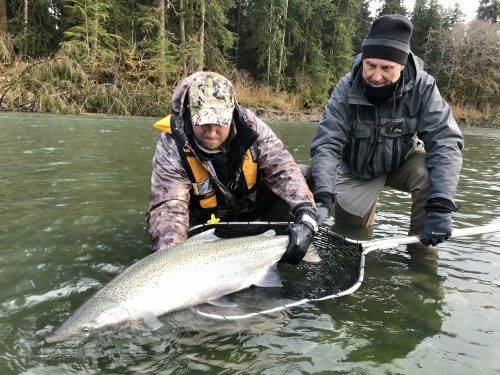 On one occasion recently we had a fish attack the fly abruptly enough to push it to the surface and basically away from her and there was no connection….amazing. 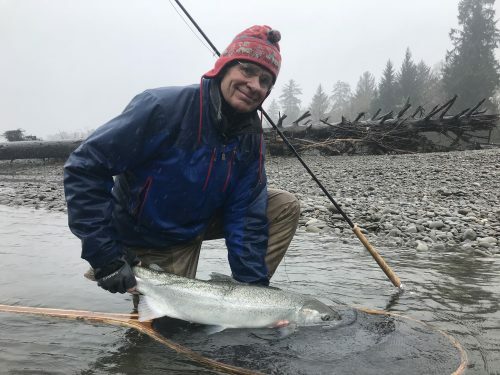 Upper Columbia is in amazing shape and fishing good when the weather pattern is stable. Levels are low on the dam/lake and average at the border make for some great structure. 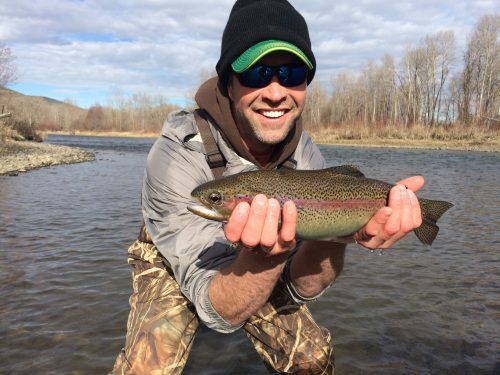 Best bugs….. #6 Catch All #4-8 Streamers in yellow/brown, brown, black and natural. No much for hatches recently. The Yakima saw a recent bump in flows due to mega precipitation. It is currently on the drop. This last weather pattern ‘kinda’ put a gliche on the Skwala activity. 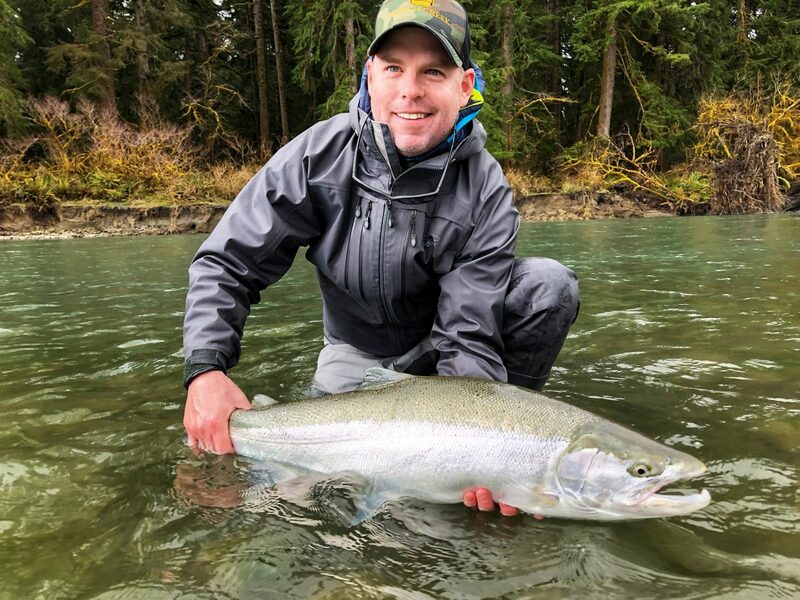 Some big fish have been hooked lately on both tactics… Sporadic is the word. All the rivers are lowwwww , some more clear than others. We would prefer more precipitation. Cold nights and warm days with lots of sun in the forecast. Reasonable conditions….We would prefer a few more clouds. Fishing has been avg. to good depending on the day and zone. 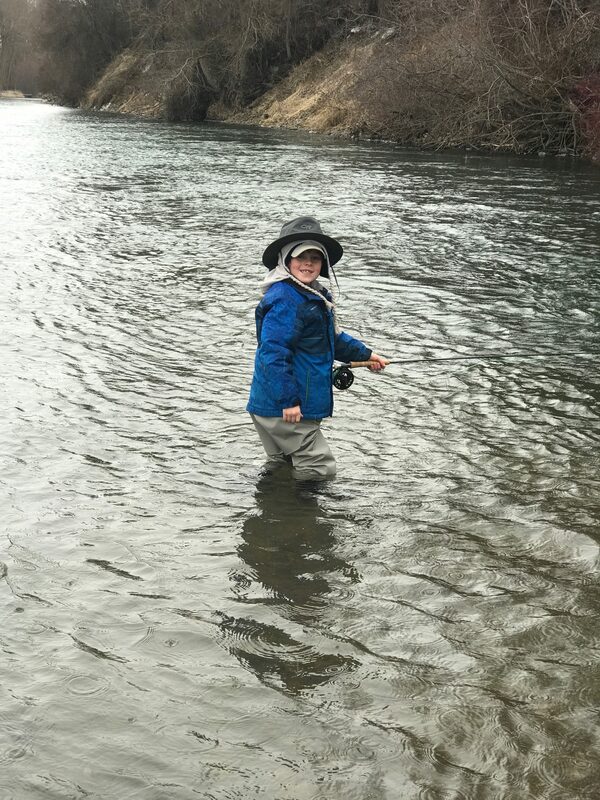 As always, dry fly activity is limited and specific to zones… Skwala dry fly water can be slooowwwww. Not always, but often. Blue wings here and there. Make sure you have a line that gets your fly in the zone. Nymphing has actually been more sporadic recently…..Best choice-> Yarn. The 2018 Skwala action is game on…. Every day will be different but the next week should prove to be thumbs up based weather forecast. Nights at the freezing mark and days at 50…..PERFECT. Skwala fishing tip…. 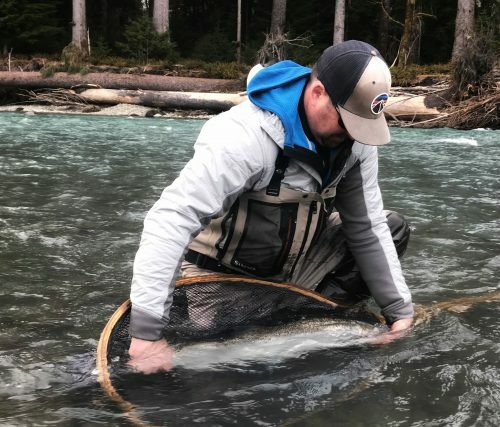 You may not see a lot of Skwala’s, but the trout know they are there. 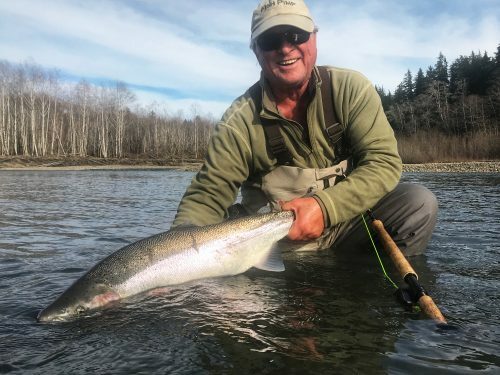 At times, the dry will definitely out fish the nymph. 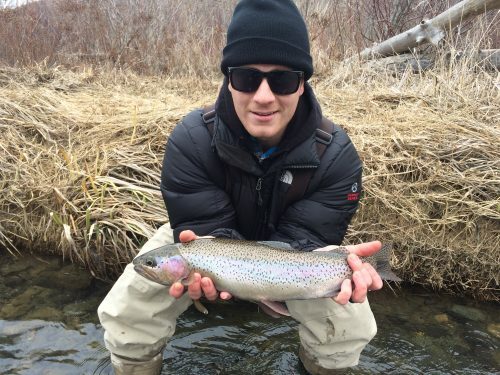 Trout will key on the adult Skwala in a variety of water types; however, error on the slow waters. Grassey banks that are slow – equals thumbs up. Suggested Pattern Choices -> Images coming soon. 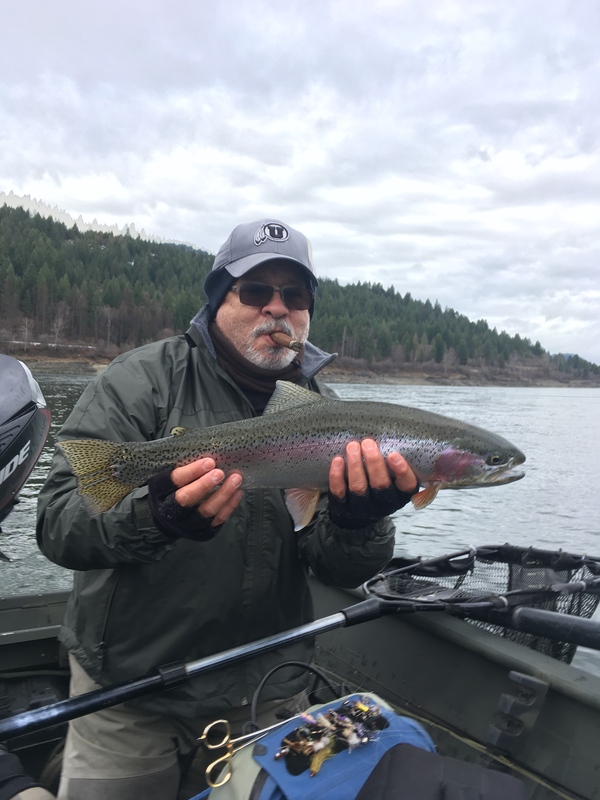 GOOD TO GREAT FISHING AS OF RECENT…. Doing my best to be more current with the reports page….As suggested by Mike and Larry. 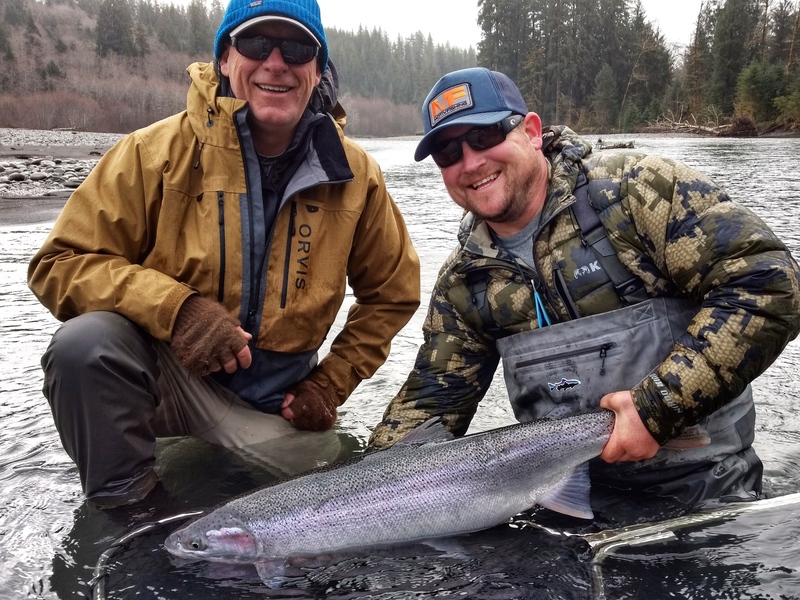 WINTER STEELHEAD – Got to spend a day with one of our guests and guide staff yesterday – Ed Fischer took the picture of Chris Owens and me. Might catch more if Judge Boldt’s decision got reversed! 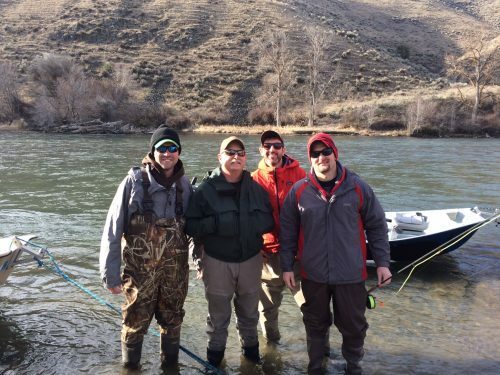 Mark and Josh just spent a day on the Yakima with our veteran guide Keith and enjoyed some good trout fishing. 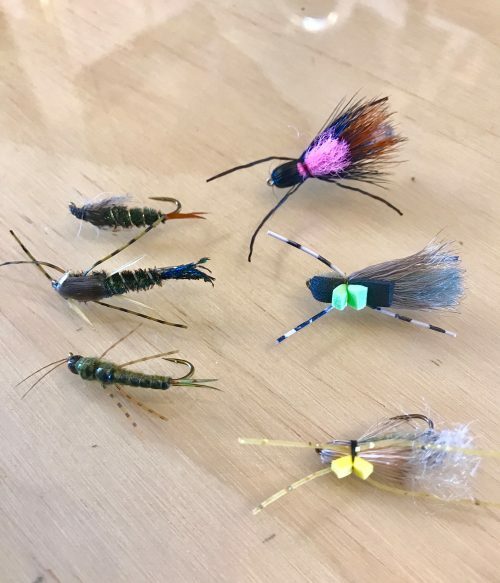 100 % nymph day with a variety of patterns used.